Once you have made my dad's amazing blackening spice, and have it stored in your pantry for future use (see the recipe here), this dish is one of the easiest & quickest meals to throw together on a whim! It's spicy, juicy, and so flavorful.. so much so that I actually said "bombastic." ;) Pair with a salad or some southern greens, like I did! Preheat oven to 350º. Wash chicken breasts, pat dry. Pour a generous amount of blackening spice into a shallow bowl. 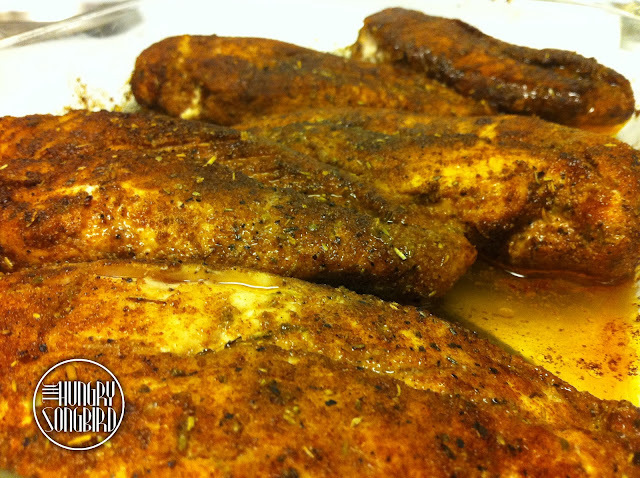 Place chicken breasts, one by one, into the blackening spice, and coat very generously with the spice. 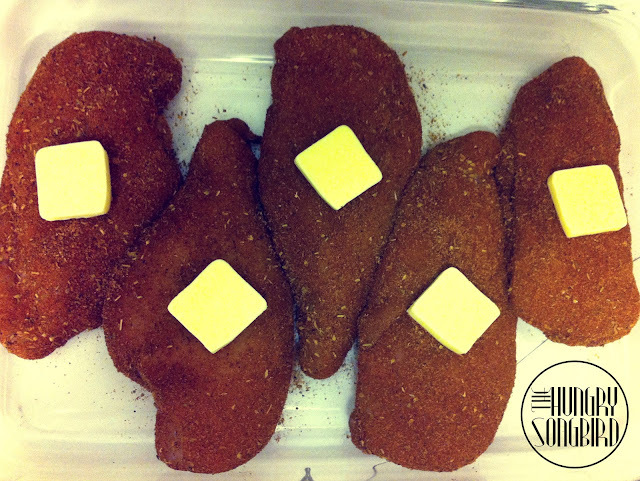 Place coated chicken breasts into a baking dish. Put 1/2 tbsp. butter on top of each breast. Bake for 15 minutes on each side. Voila!